The publishing industry is changing fast. Up until only a few weeks ago it was thought that signing a deal with a traditional publisher was the only way to get stocked in physical bookshop chains. That, however, is has just changed with the news that indie author Jamie McGuire’s self-published CreateSpace book is about to be stocked by Walmart. This is massive news for indie authors as it opens the floodgates to a whole world of new readers and exciting opportunities. Now, I’ve recently spent a few months working closely with a publisher to remaster my debut children’s book The Winter Freak Show for a print release in early October – a medium which, as an eBook author, was new to me. Working with a publisher has provided me with a wealth of new knowledge concerning how to create an awesome cover that will appeal not only to readers, but also to wholesale buyers for bookshops. This is important because, without their approval, your book will never reach the shelves and never be picked up by readers. It’s great to have a cover that stands out due to its high quality, but you don’t want it to stand out for the wrong reasons. Go to any bookshop, squint your eyes at a bookshelf, and you will see that the books in each category tend to have a general colour scheme. If you have a bright pink cover and you’re writing dark thrillers then the chances are that: a) booksellers who aren’t familiar with your books will stock you on the wrong shelf and b) readers of your genre won’t pick up your book as they will think it’s been moved from another shelf and that it’s not the type of thing they would like to read. In short, don’t create work for booksellers. 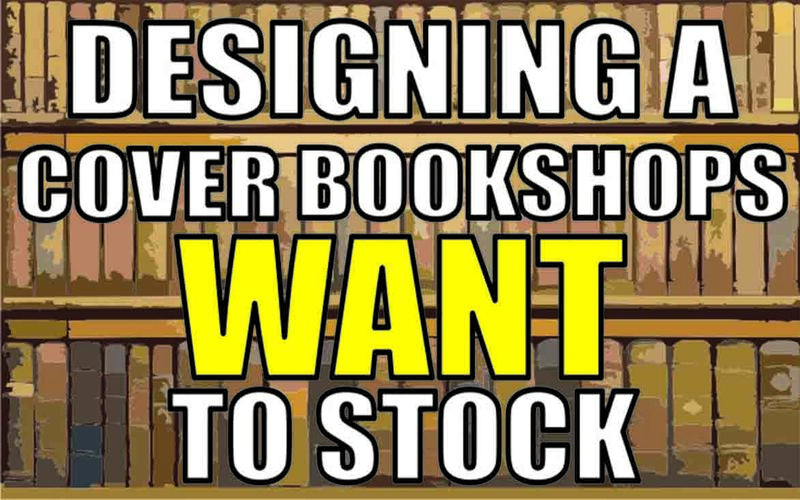 If your book isn’t easy to place in a bookshop, it’ll get shelved – and not in the way you want. You know that little voice in your head that talks when you read stuff? Hi, that’s me! Well, that guy is a salesman to readers when it comes to choosing a book. And with any salesman, he has to use just the right words to clinch the deal. In this case, those words are the book’s blurb. Great blurbs are often written not by authors, but by copywriters who know how to write sales copy. Sales copy here means a killer opening line, a tone of mystery, and then a cliff-hanger ending – and sometimes a call-to-action to buy the book if the book is being displayed online. An accolade or two from recognisable names also help a lot. (Side note: Studies have shown that accolades from famous writers – say, Stephen King – sell more books than accolades from famous publications like The Times.) All of these components build the argument of that internal salesman and clinch the deal. Not every author can design a book cover. Some don’t have an artistic flair, others don’t have the technical ability to make their vision a reality, and some simply can’t distance themselves enough to go with a commercial option over a personal preference. Before I carry on, I should say, for the love of God, never hand-draw a design and then take a photo of it for your book cover! This is an amateur mistake. Even professional cover illustrators enhance their work on a computer, so if you can’t do this, delegate the job of designing your cover to someone who can make it pop. This may seem pricy but it’s a necessary investment if you ever want people to pick up your book and see the story in the professional light you know it deserves. And if you’ve already made this mistake, don’t worry. Book covers can always be changed in a second, third, or even fourth edition! If, after this, you find you’re happy to delegate, you can even go one further and create a bestseller team. ISBNs are lines of numbers usually printed above bar codes on physical books. Each book’s code is unique, making the book easier to track and scan by booksellers, wholesalers, and publishers. Books don’t have to have them, and some indie authors like Joanna Penn in her latest blog post argue that they are an outdated system devised by traditional publishers that will eventually go extinct. However, the reality is that most bookshops won’t stock physical books that don’t have ISBNs as books that lack one are harder to scan and track with their automated, ISBN-driven cash registers. Only time will tell whether ISBNs will survive. For now, though, the wisest option is to get a handful and include them on your covers. Depending on your country, you can get them for free or buy them from Nielsen Bookscan. Book covers go out of date. What may have been a great cover years ago will seem stale as trends change, even within genres. Yes, you may need to purchase a new ISBN for the new book format but it’ll be worth it if it leads to more sales. Publishers often rejuvenate old books with new covers. The Harry Potter books have been rereleased with new covers to appeal to collectors and a whole new generation of kids. Many lusty romance novels that would have once been crimson and pink were revamped with a grey cover to cash in on the Fifty Shades craze. Evolution keeps your books alive. Paperback dimensions matter to book retailers, and what you might not know is that the standard paperback size in the US is much bigger than the standard size in Britain (which is 8 inches x 5 inches). And this translates to bookshelf sizes in shops. Many UK bookshops won’t stock most self-published paperbacks as their dimensions often match standard US sizes and look out of place – or in some cases don’t fit at all – on UK bookshelves. If they can’t fit the books on their shelves then they don’t order them in as stock. Again, this is about inconveniencing the bookseller. When it comes to selling your physical book, size definitely matters. So that’s it: the essentials for designing a cover that will appeal to booksellers. If this article interested you, join my mailing list by clicking here. I don’t spam. I just send exclusive newsletters that give you early notice of events, blog posts, and when my books go on sale. And for my avid readers, you can become one of my advance readers, meaning you will get my books for free and before their launch dates by emailing me directly via my contact page. Just include a short line, letting me know that you want to become an advance reader. Click here to do it now.